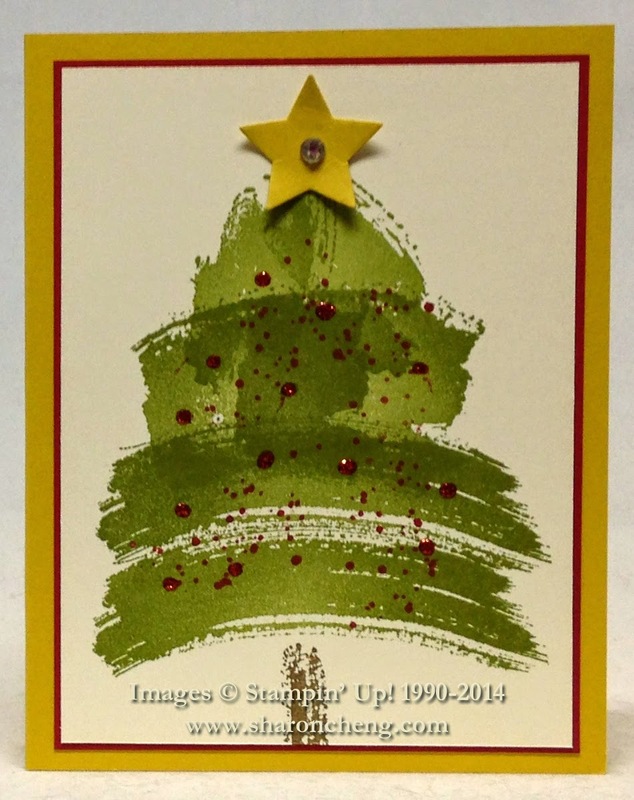 I was inspired to make this Christmas Tree card using Stampin' Up! 's Work of Art stamp set after getting the card shown below from Christi Beck at our demonstrator retreat. If you know me, then you know that I "chenged" it up a bit. This is Christi's swap card. I just loved the simplicity of this card. 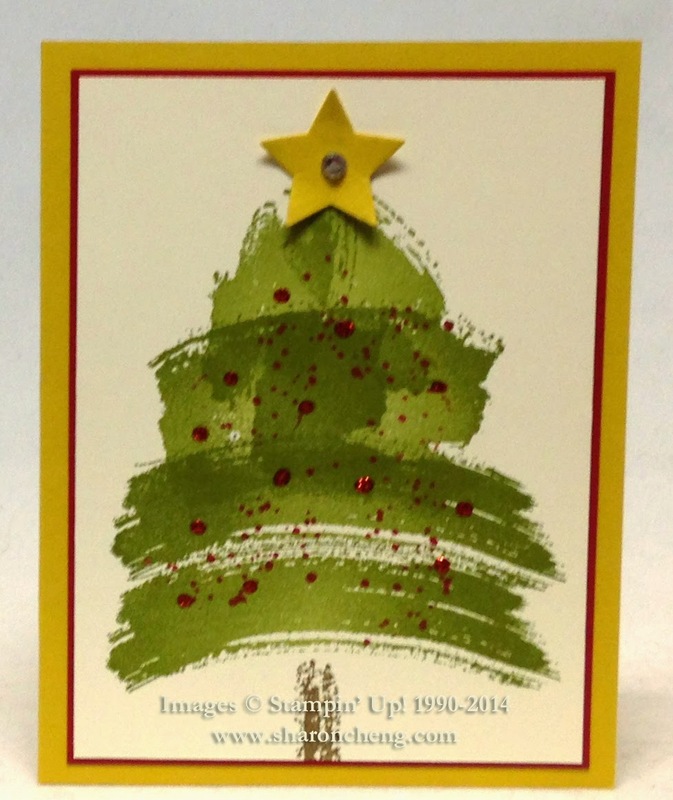 For my card, I stamped the tree slightly differently so that I didn't have to stamp with Old Olive as many times. And then I got a little carried away with the Gorgeous Grunge stamp set and Cherry Cobbler Dazzling Details. 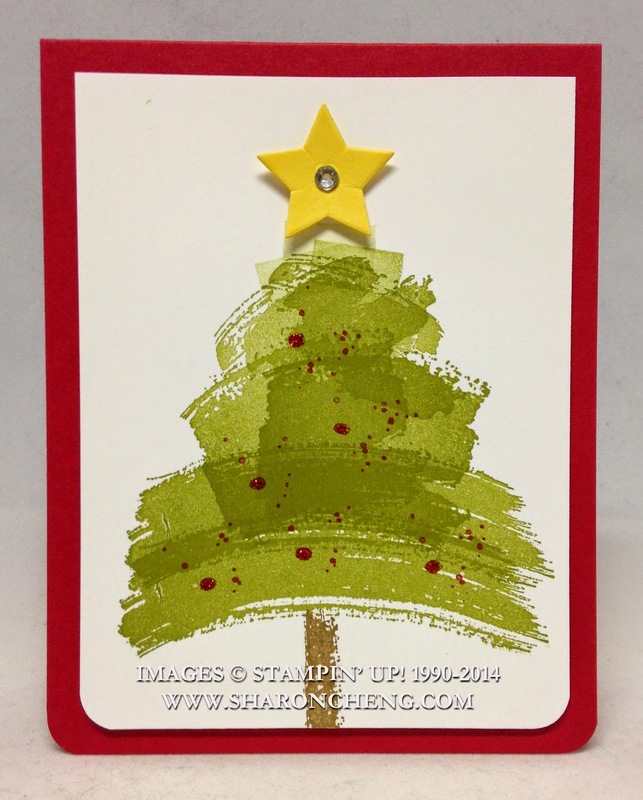 Here is the picture tutorial for how I stamped the tree using various images from Stampin' Up! 's Work of Art stamp set. If you prefer a video tutorial, I recommend Christi's tutorial. The differences are that I put a mat around the tree, used Hello Honey as my yellow and stamped the top of the tree differently by angling the last image. Here are some other cards that use the Work of Art Stamp set. I love the creative use of this stamp set! Very nice card!